People near the Metro do not need to travel far as popular places around the Philippines are now rolled into one happy place known as Rave Rainforest Adventure Park located in Pasig City. It has an amazing number of 16 attractions starting from the biggest water park pools in Metro Manila up to Pasig Zoo which you can savor starting from 8AM. Must-visit spots of the park are: aMaze Garden which resembles Pangasinan’s sunflower maze. Kids and kids-at-heart will have fun at the Alice-in-wonderland-inspired walls while staring at immense chunk of sunflowers. 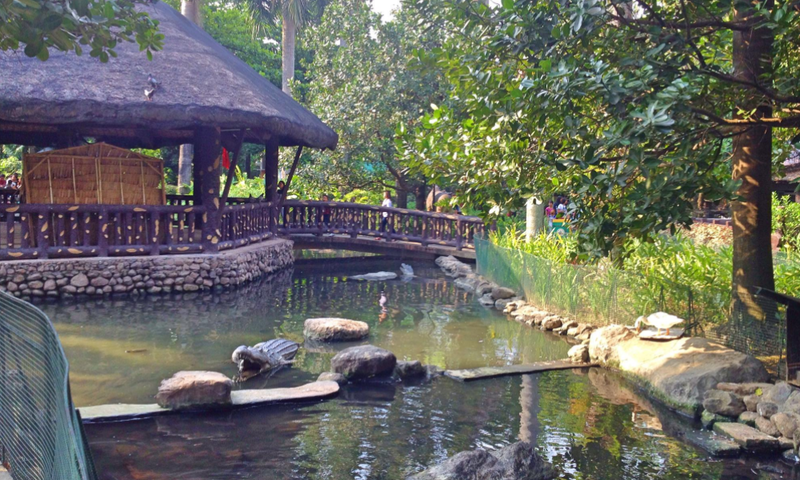 Another attraction is the Botanical Garden inspired by the one located in Baguio. Play around with a variety of butterflies and moth species or if you want to feed yourself with a little more knowledge, you can look at their life cycle shown in the butterfly house. The third recommended attraction would be its version of Picnic Grove. Calling all chess lovers as you can move the huge replicas of chess pieces scattered all around the area. Outings and getaways have never been this complete so make sure to include Rainforest Adventure Park in your bucketlist! Just a little reminder, bring extra cash because every attraction requires an entrance fee.